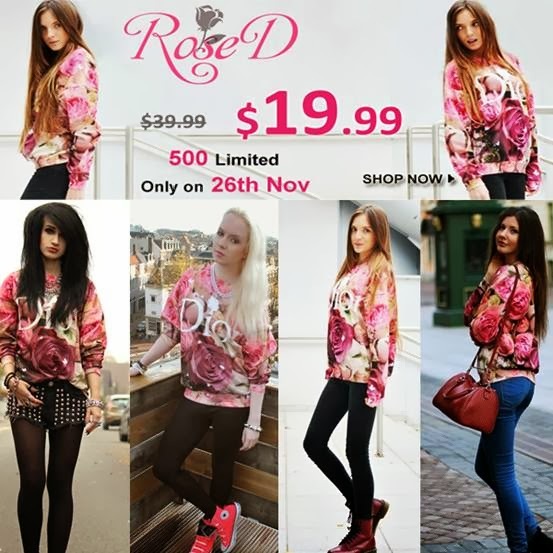 romwe "rose d" sweatshirt flash sale 24 hours only! Hundreds or maybe even thousands of fashionistas all over the world have ordered this "Rose D" sweatshirt from Romwe. The demand for it was so high that Romwe was able to strike a deal with their supplier and get limited pieces for a fraction of its original price. And that is why for just 24 hours, a few ROMWE clients will be able to purchase this at 50% off. Only $19.99 from its original price of $39.99! 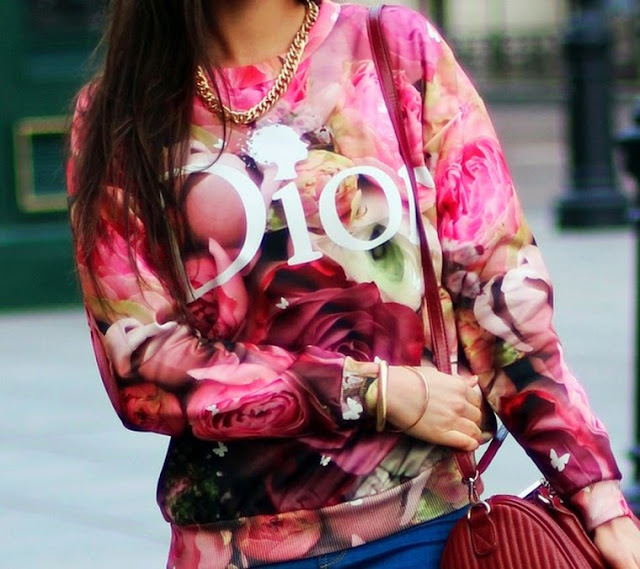 Like I said, there is a very limited supply of this sweater on sale so hurry and check it out HERE.